The Capital Programs and Facilities Management Department is committed to planning, developing, and maintaining a safe, sustainable, and high quality learning and working environment for the campus community. We are seeking an exceptional individual to join our team as the Director of Administrative Services. The ideal candidate in this role should have a positive attitude, an active, energetic mind, and a leadership style that is characterized by highly ethical practices and a commitment to diversity, openness, flexibility, integrity, and kindness. 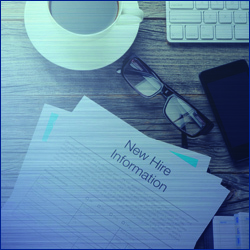 The Director of Administrative Services reports directly to the Associate Vice President for Capital Programs and Facilities Management (CPFM) and is a key member of the CPFM senior leadership team. This position plans, manages, oversees and directs the operations and services of the Administrative Services department, which includes budget and finance, human resources, information technology, logistical services, service center, and zone management. In this capacity, the director provides a high level of leadership and has the primary responsibility of the operations and functions within the Administrative Services department. The director advises and makes recommendations to the Associate Vice President for CPFM relative to Administrative Services functions. This position also works on special projects as assigned by the Associate Vice President for CPFM that vary in scope and may have either divisional or campus-wide impact. As a member of the CPFM senior leadership team, the director of Administrative Services works in a team to develop and implement CPFM strategic goals and initiatives , serves on various university committees, and serves as a member of the University's Emergency Operations Center (EOC). Other duties as assigned. collaborative manner. Possession of excellent customer service skills and ability to work with other to resolve problems. Ability to establish and maintain positive working relationships with full range of internal and external constitutes at all levels. Ability to work independently and work effectively and collegially with individuals and groups of people as part of a team.